West Lakes is a saltwater lake fed by tidal flows that flow out through the Bower Rd causeway into the Port River. 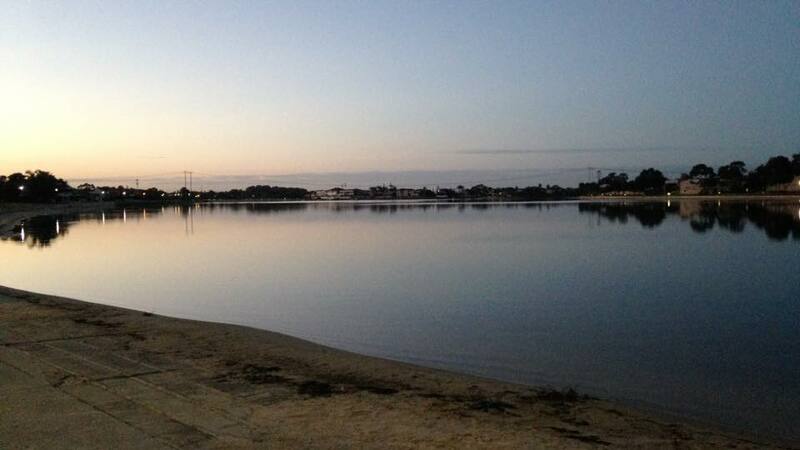 The lake is the most popular canoeing venue in Adelaide with club, state and national events being held there. 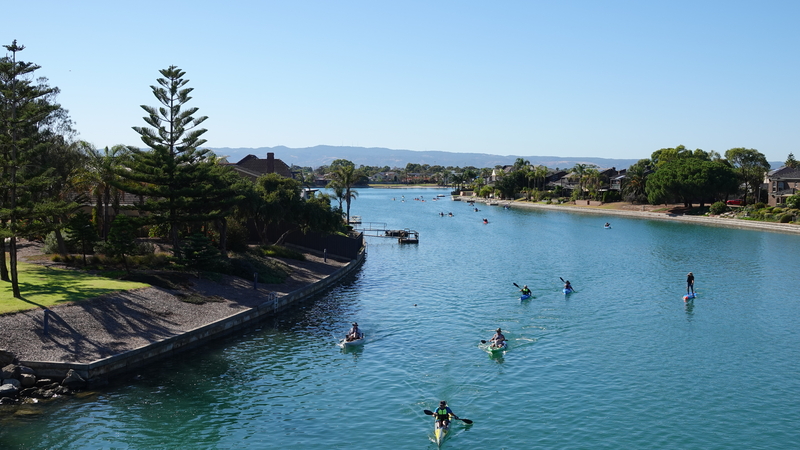 It is home to Paddle South Australia, West Lakes Canoe Club (at Bower Rd) and the West Lakes Aquatics Centre (Dept of Education) and South Australian Sports Institute Kayak Program (on Military Rd). There is a 2000m canoeing / rowing course on the lake which is used for training and events. The lake is open to the public and it can be accessed from many of the boat ramps and beaches. As power boats are excluded from the lake (except for safety purposes by permit) it is suitable for paddling in many craft. The lake however can become very choppy particularly with the prevailing south-westerly sea breeze. Mornings are the best times to paddle as the wind is generally calmer. 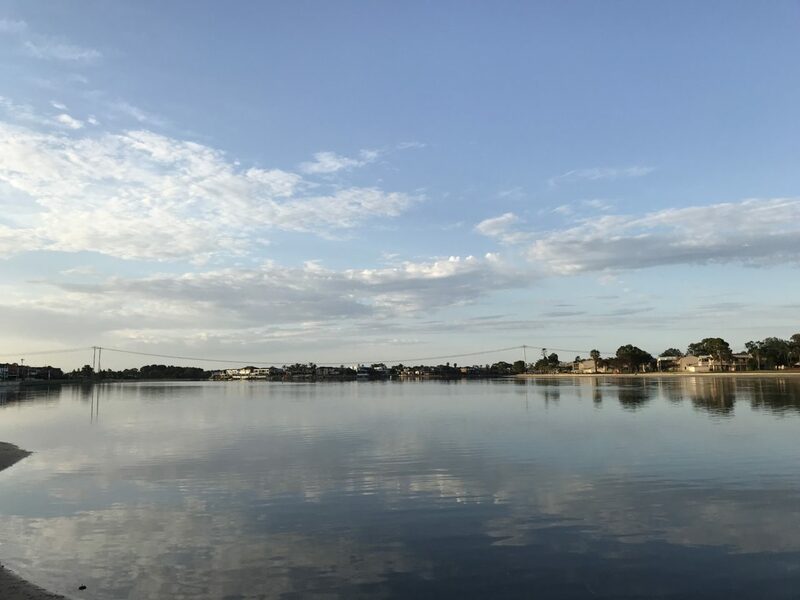 Recommended canoeing launch points: Aquatic Reserve – Paddle South Australia Headquarters (Bower Rd), Dotterel Reserve (Dotterel Drive), Oarsman Reserve (Military Rd). Situated in the middle of the lake is Deflin Island which is approximately 6km in circumference. 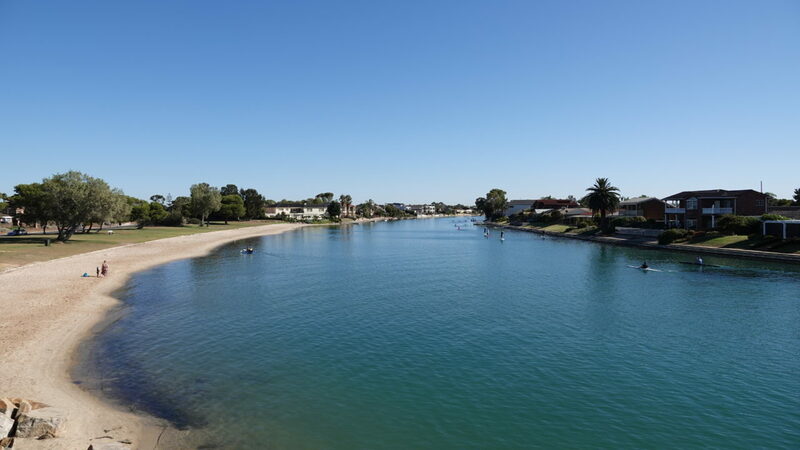 The island provides significant protection from the wind and novice paddlers can enjoy paddling around the island on calmer days, or stay on the northern side of the West Lakes Boulevard bridges on windier days. A map of West Lakes is available below.